Supermarket giant Tesco has been fined £300,000 over its &apos;half price&apos; strawberries after a court case brought by Birmingham City Council. Tesco was prosecuted today at Birmingham Crown Court under the Consumer Protection from Unfair Trading Regulations Act 2008. 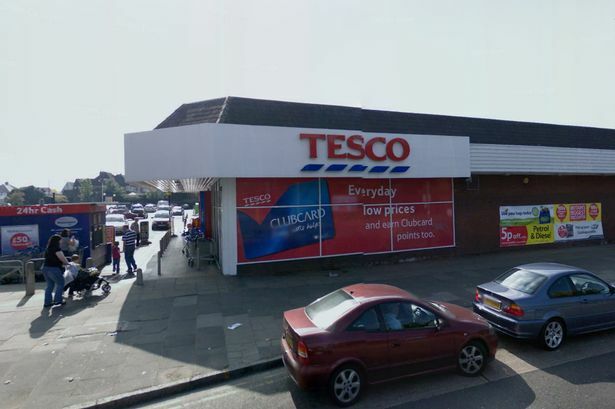 The case concerns a Tesco store on the Coventry Road in Sheldon and was widened to Tesco stores nationally after it was flagged up to Trading Standards by a local shopper. During various dates in summer 2011, Tesco sold 400g punnets of British strawberries marked as ‘half price’ – £1.99 with the previous prices of £2.99 and £3.99 crossed out. Under the pricing practices guide, the length of the new lower price sale should not be more than which the old higher price was available. Tesco’s £1.99 offer ran for 14 weeks. Its original higher price strawberries - £3.99 - were sold for a much shorter length of time. Tesco then added a further offer relating to 400g punnets of British strawberries, which were on sale at £1.99 including a pot of cream – marked ‘£1.99 free fresh single cream 150ml’. Birmingham City Council argued both offers were presented in a way that was likely to deceive the average consumer. Head of Trading Standards for Birmingham City Council, Sajeela Naseer, said: “This is not only a victory for Birmingham customers it also has wider benefits for all consumers across the country. “The Council is firmly of the belief that this was not a genuine offer and this has been confirmed in court today. We hope this sends out a message to other national retailers that it is their responsibility to ensure that offers are presented to the public in a careful, clear and truthful way. At a preliminary hearing, earlier this year, the retailer argued Birmingham City Council did not have the jurisdiction to proceed outside of Birmingham with this case. The hearing found in favour of the City Council which argued that Birmingham residents who shop outside of the city would still be affected by the offer. Consumer watchdog Which? said it supplied evidence to Birmingham trading standards on the case after its own investigation into supermarket special offers in November 2011. Executive director Richard Lloyd said: "It&apos;s unacceptable that shoppers are misled into thinking they&apos;re getting a good deal with a special offer when that might not be the case. "Tesco&apos;s hefty fine sends a clear signal to supermarkets to play fair and make sure that their special offers really are special." "Since then, to make sure this doesn&apos;t happen again we&apos;ve given colleagues additional training and reminded them of their responsibilities to ensure we always adhere to the guidelines on pricing."